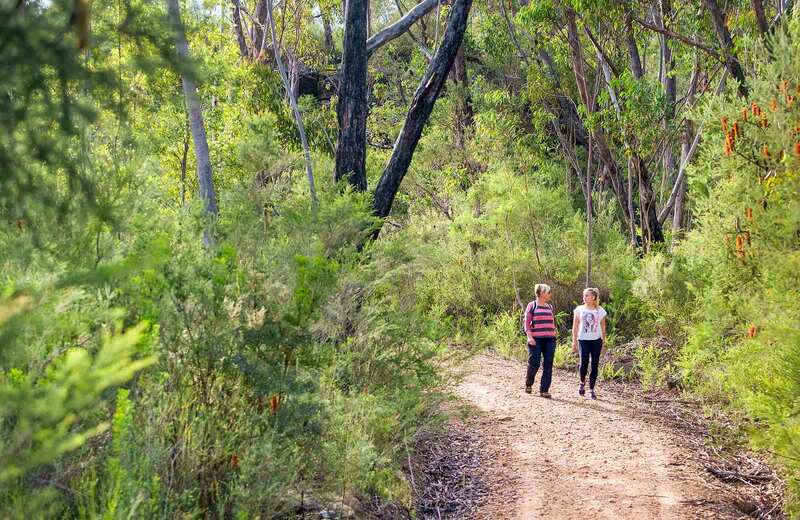 Sydney’s Heathcote National Park is known for its excellent bushwalking, and Bullawarring walking track is undoubtedly one of the jewels of the Sutherland Shire. 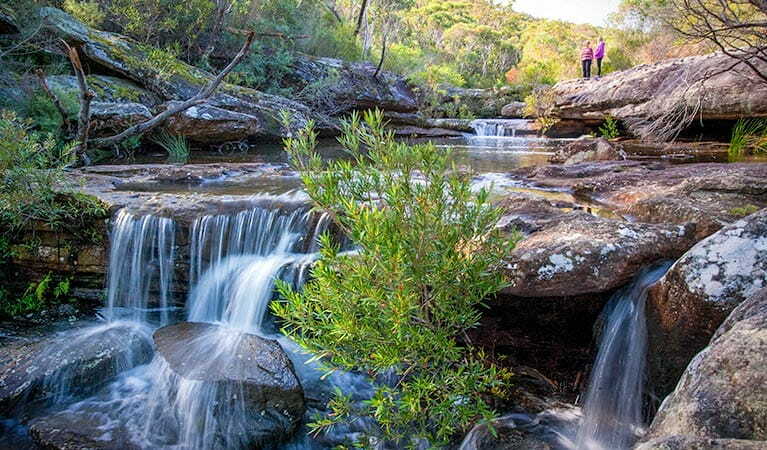 Ideal for experienced bushwalkers, this rough track, with short steep sections, takes in beautiful bushland, glistening freshwater swimming holes, and craggy ridges. Stop for a break beside the tranquil pools at Kingfisher Pool picnic area – in summer, a dip in the refreshing pools is a special treat. 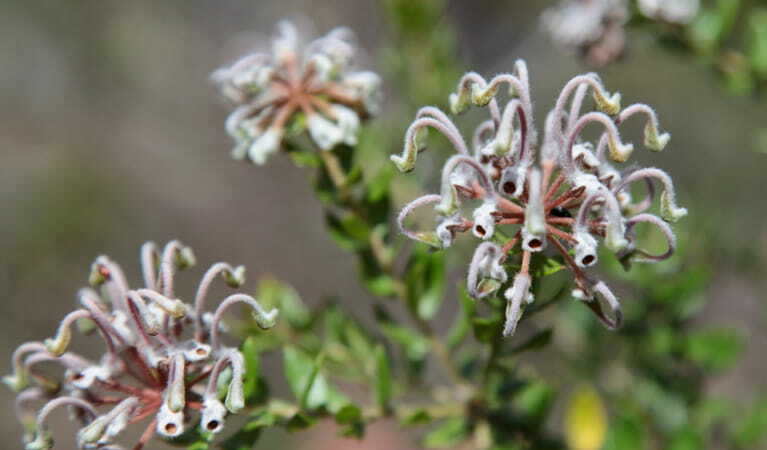 Birdwatching is at its best in spring, when nectar-loving honeyeaters and wattlebirds are attracted to the blossoming wildflowers in the surrounding heath. 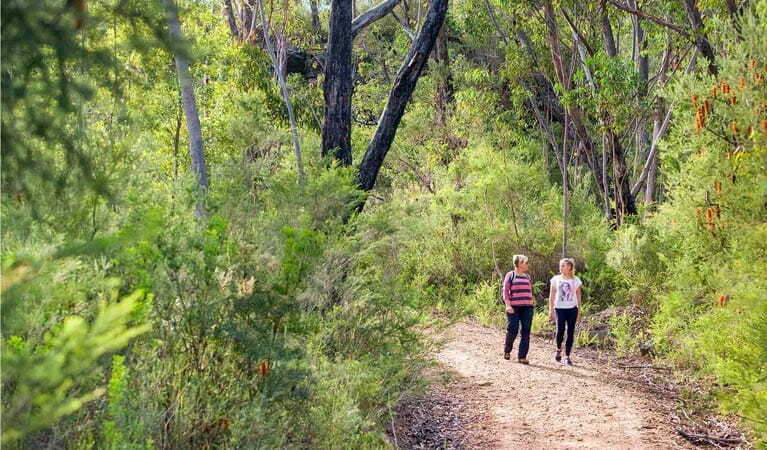 Choose to return via Mooray walking track for a loop walk or continue along Pipeline trail at Battery Causeway, until you reach the natural pools. Alternatively, you can keep walking north along Pipeline trail to Goburra track to join Oliver Street, and head back via Heathcote train station. 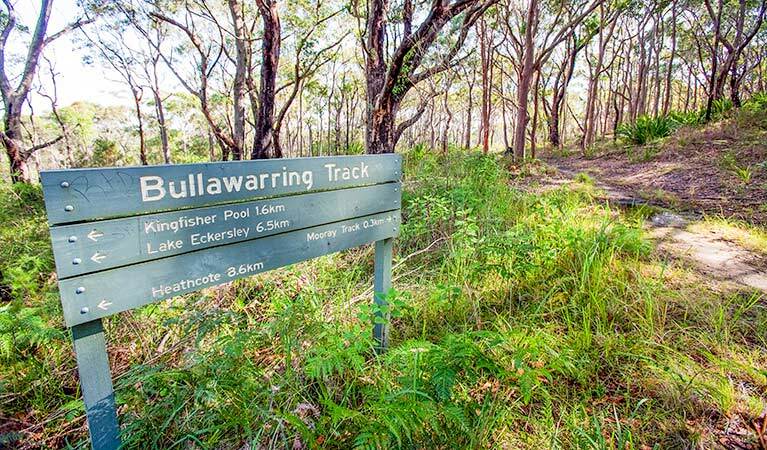 Take a virtual tour of Bullawarring walking track captured with Google Street View Trekker. Heathcote National Park is open sunrise to sunset but may have to close at times due to poor weather or fire danger.